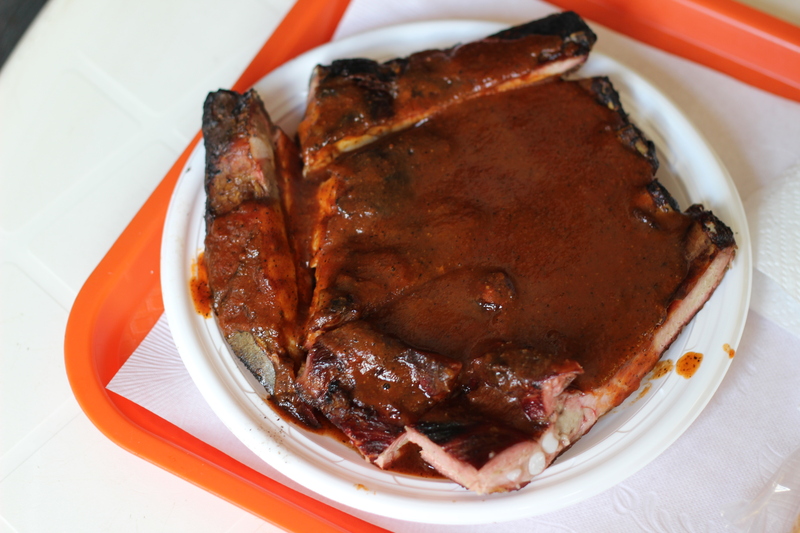 The quest for great meat often leads to BBQ, and my visits to a couple of Pittsburgh’s cue joints have been fruitful, if not overwhelmingly amazing. Then I heard about Wilson’s Bar B-Q up on the North Side amongst the Mexican War Streets. 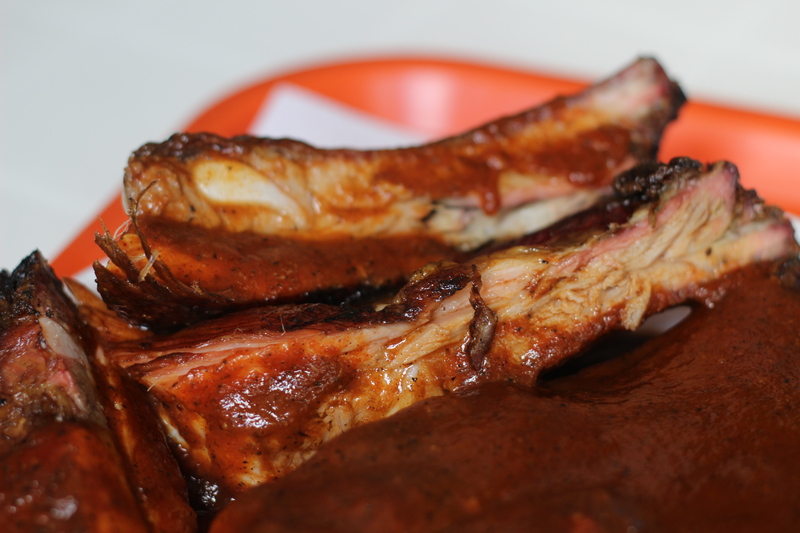 The founder hails from the South and the place has been smoking meat for more than 50 years. Considering Pittsburgh’s past, that means a lot. The place is minimalist to the max, with just a couple of plastic tables and chairs with a chimney smoker in the back hiding The menu is scrawled on a chalkboard and lists only four options. Three are ribs of varying size and the other is chicken. Who needs a full slab when you have this? I ordered the Large Plate of ribs, which came with nothing but ribs, sauce and two slices of white bread. Complexity is clearly not something that Wilson’s aspires to. There were two sauce options unless you count the mix of both hot and mild (which is achieved by ladling both sauces onto the ribs as opposed to pre-mixing) and I was told to get the mix. This was a good choice, as it had some delicious flavor and a strong kick without lighting my moth on fire. The ribs fell right off the bone and had such a great smoky flavor that I thought I’d died and gone to rib heaven. Just get in me now. Wilson’s keeps things simple and why not? 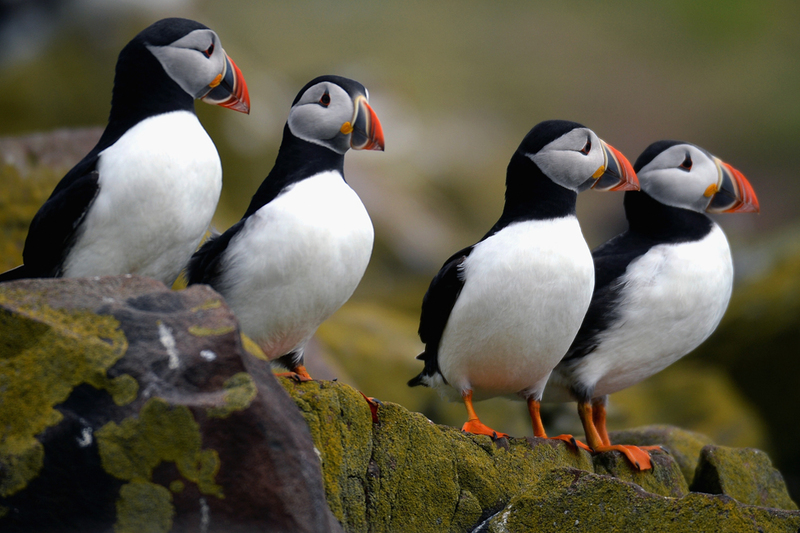 When you do one or two things right, there is no need to add complexity. To be fair, they do offer a couple of sides like potato salad, but nothing that seemed necessary to compete with the ribs for stomach space. 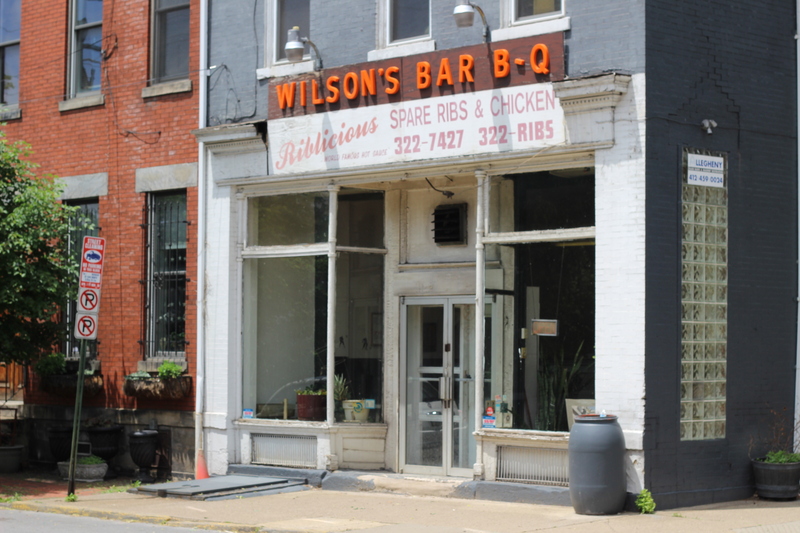 If you fancy yourself a BBQ fan, Wilson’s is a must in Pittsburgh. Just be sure to bring cash, because just like their menu, they keep their payments simple.